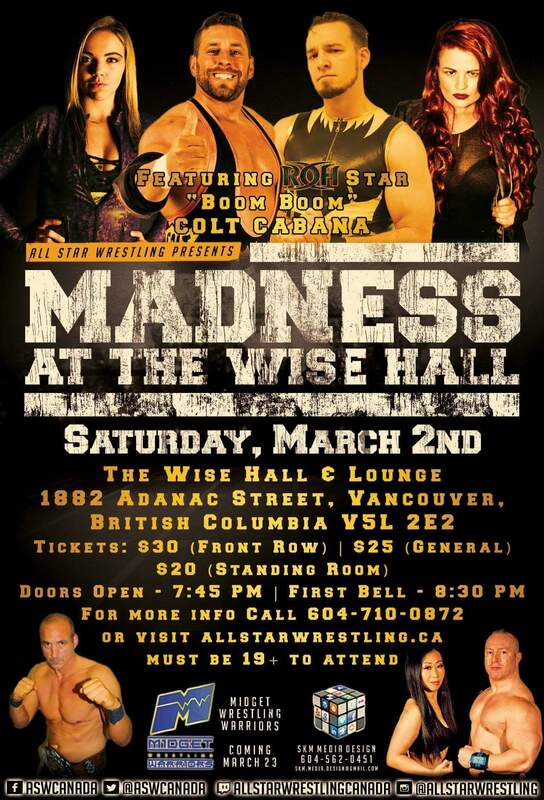 All Star Wrestling presents March Madness at the Wise Hall. Saturday March 2nd., 8:30 PM doors open at 7:45. This is a licensed event with alcohol. You must be over 19 to attend.